With the current water shortage situation in South Africa it is critically important to harvest as much water from the roof and use it in the house. 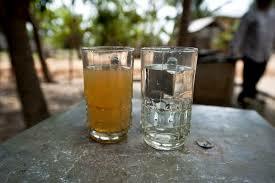 We are going to share how you can filter this water to make it safe for drinking. We have redirected all of our downpipes from the roof into 2500l JoJo storage tanks. From there we have linked them to a pump which then feeds the water system of the household. Obviously, we switch over to the municipal water when the JoJos are empty. From our zinc-a-lum awning, we have harvested the water into a 750l JoJo which has an antibacterial black coating inside, which then feeds a 44 gallon drum with a sand filter. This is then fed into a 44 gallon drum for storage, where we decanter our drinking water. As soon as we started drinking this water we noticed the lack of chlorine smell and taste that we usually get from municipal water in Durban. We have had the water tested and all results came back way within acceptable standards. I am going to share with you how to make the sand filter so that you too can harvest the water from your roof and use it for drinking purposes. Please note that the results vary from each and every system, so it is important to have your water tested before drinking. Obviously the better the quality of your water going into your sand filter the better the quality of your water that will come out of your sand filter. We harvest the water from our zinc-a-lum awning, as that is our cleanest water available. Our roof tiles have been painted and we didn’t want any of those toxins in our drinking water to start off with. Because of the dust that settles on the roof during the dry spells, we have what they call, a first flow diversion system. This first flow diversion system allows the dirty water that comes off the roof with the first rain to be diverted into the drain. Once this system is full it diverts the water into the JoJo tanks. When the rain stops, the first flow diversion system slowly empties the water so that it is ready for the next rains. 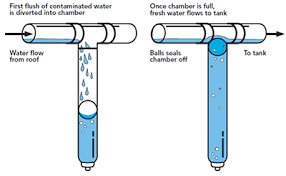 The system is a big PVC pipe, with a floating ball that rises and blocks off the entry to the big PVC pipe and forces the clean water into the JoJo once the ball has blocked the entry to the waste. 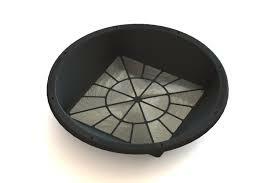 This first flow diversion system allows you to get cleaner water from your roof. At the top opening of the JoJo we have a sieve that is made from a plastic wash basin, which further filters the water, just to ensure that no leaves enter the tank. 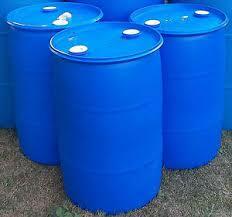 The best sand to use for the sand filter is crushed rock that is obtained from a quarry. Make sure that the crushed rock does not contain clay. Other types of sand can be used, but nowhere near as effective as quarry rock, like river sand or sea sand, as long as that sand is not contaminated in anyway. Next week we will talk about cleaning and sorting the sand.